The Alive Cor Mobile ECG is a pocket lifesaver. Photos from Alive Cor website. I was somewhat overwhelmed by the many impressive gizmos and gadgets about to come onto the world market at the recent Pepcom Wine, Dine & Demo holiday technology show in New York City. However, one device in particular resonated with me as a person living with cardiovascular issues. It's called the AliveCor Mobile ECG. 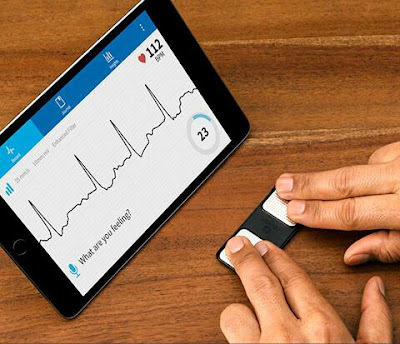 This user-friendly tiny miracle provides an accurate electrocardiogram to your smartphone or tablet. Results can be quickly relayed to your cardiologist. The lifesaving implications of this product are mind-boggling. It retails for around $100, though the device is 25 percent off online until 31. Dec. At checkout, use code, LASTCHANCE2016. 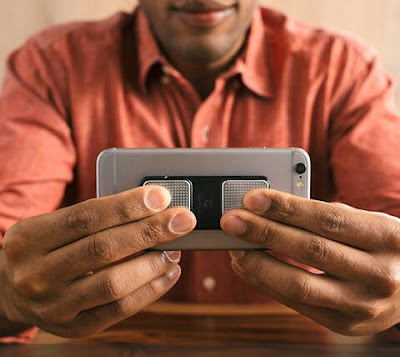 Visit http://www.alivecor.com to learn more about the AliveCor Mobile ECG.